Highly skilled mediums are a rare find. Until the popularity of the television show Medium, most people were unaware of them. A medium is a person who can access messages from departed loved ones in the spirit world. We are extremely fortunate to have one of the best in the United States reside part-time in the Lowcountry. A trance medium since childhood, Dwanna Paul has been channeling messages of hope and healing from those who have departed to their families and loved ones. As far back as she can remember, Dwanna has been determined to investigate what this world is all about, beyond what can normally be perceived. She somehow always knew there was more than what was visible in the physical world around her. In the 1980s, Dwanna hosted a television talk show covering various metaphysical subjects. She later enrolled in formal training to further develop her talents at the Arthur Finley College of Spiritualism and Psychic Sciences near London, England and the Lily Dale Assembly in New York State. She also served as a resident guest medium at the spiritualist Camp Chesterfield in Indiana. By 1984, Dwanna was holding weekly circles in her home for people to gather and connect with their departed relatives. Her Circle of Lights gatherings call forth spirit entities from other dimensions and show themselves in the form of twinkling lights and orbs. These phenomena have actually been recorded with specialize infrared cameras. To experience such a gathering invites one to be open to the possibilities of other dimensions. 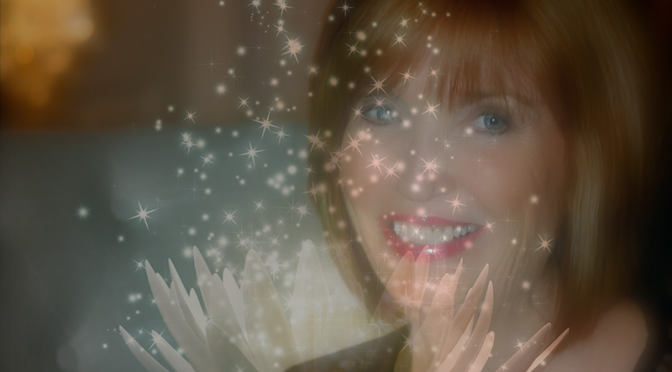 In December 2015, Dwanna’s spirit guides instructed her to create the Healing with the Angels gathering. The evening begins with a meditation to call in the angels. Participants sit in a chair at the front of the room one a time. Dwanna places her hands on their shoulders and forehead as they drift into a peaceful, blissful and relaxed state, which allows the healing energy to flow through them. Participants have reported various experiences, from visions and lights and scents of flowers to permanent relief of chronic physical and emotional pain. 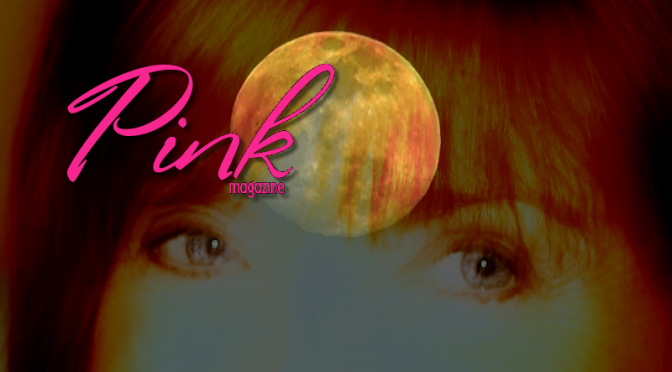 Click Here to Continue Reading at Pink Magazine Online. I once received a vision in which I was given direction from Spirit more than three years ago. That vision informed me of the necessity to begin leading a healing event in a space where a beautiful atmosphere could be created, one that was large enough to accommodate an audience. 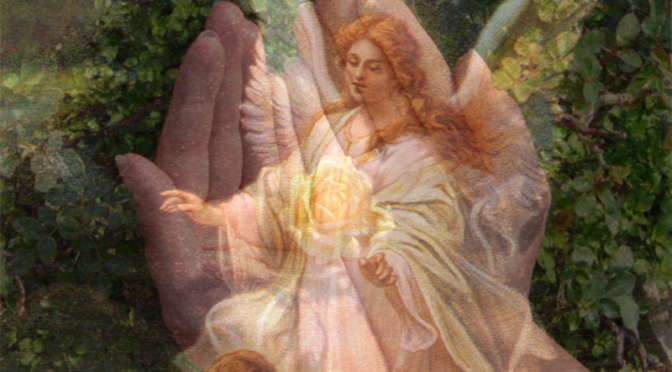 That event is called “Healing with the Angels” and takes place twice a month at Just Be Centre in Bluffton, S.C. The vision that spirit revealed seemed a bit odd to me at the time because it involved “Laying on Hands” and not my usual way of conducting a healing. I didn’t delay. I called Nan at Just Be Centre and told her that I was ready for whatever Spirit had in store. The room was prepared with relaxing candles, soft music and an overall feeling of calm as Spirit imbued the room with the smell of roses. 30 people arrived that evening. Upon entering there were many comments about a serene atmosphere that seemed to pervade the room. The healing ceremony then began. A brief meditation called in Angels. Audience members were invited to sit in a chair at the front of the room one a time. I then placed my hands on their shoulders and forehead. Upon my doing so they seemed to drift into a peaceful blissful and relaxed state. They drifted slowly laying down or remaining seated for what seemed like a long time in that deep altered state. Five healing assistants dressed in all-white attended to the needs of each person who received a healing. Those who did not to come up to the designated healing chair but remained in audience received healing energy from where they were seated. Five months have now passed since that first evening. I sense it has now evolved into a space where higher frequency healing energy is shared. People are reporting how they feel more relaxed; that knee and shoulder and back pain they had carried for years has eased. Some people are seeing white or purple lights, having visions and experiencing the scent of roses. Others claim no chest pains (after three years of unexplainable conditions) and the release of emotional pain when those experiencing grief attend. As I mentioned before, a state of bliss can occur for the person receiving a healing. We like to leave them sitting in the healing chair or guide them to a cozy massage table where they can continue in their relaxed state of body and mind. Participants are carefully monitored during their journey by the healing assistants, Diane, Carol, Karen, Barbara and Jen. We also accept written prayer requests for healing of family and friends. Participants write these upon entry which are then placed in our lovely stone angel’s hands. Be sure to check my Spring Calendar for the next “Healing with the Angels” in Bluffton, S.C. Come and find out what the excitement’s all about. I hope to see you there! From CBS Television’s “Haunted Lives” Trance Medium Dwanna Paul shares tales from the road as this spiritual nomad and her group travel the South in search of adventure from beyond this world. Her new book “Circle of Lights” is scheduled for publication sometime next year. In 1998 I closed the Dallas center to travel and indulge my spiritual nomad. In 2010 I purchased a motor home that was small but nimble. While travelling through Florida in the motorhome I was offered the opportunity to visit a medium hosting table tilting séances in Cassadaga. It was during one of the many events that I attended at the well-known Florida Spiritualist center where six of my close friends and I met in a little house. A friendly chatty medium first greeted us then invited us to come in. After navigating the crowded parlor we sat to discuss that evening’s program and hear the community’s latest gossip before proceeding to the basement. The environment downstairs was dark and welcoming to me. In the middle of the room was a very large round oak pedestal table. It may have weighed over 100 pounds. Chairs were placed all around and each of us took our seats. The medium addressed questions from each person seated at the table in clockwise order. My turn would come last. With our fingers placed lightly upon the top that table was tapping “Yes” or “No” to each inquiry. One form of physical phenomena known to the Spiritualist community is table tilting. Tilting provides a means to communicate with spirit. I have over 30 years of practice in this discipline. The accuracy of the spirit team working behind the scenes always amazes me. Table tilting offers a first step towards experiencing more profound displays of spirit energy for beginners who wish to work with physical phenomena. To practice at home I suggest gathering a group of four or five people and choosing an evening that agrees with everyone’s schedule. One tip for ensuring the success of these events is to make sure that everyone who joins the group has the same mission in mind. At the other end of the room was a curtained area used as a “cabinet” (a place where a medium sits for producing physical phenomena). The medium can remain in this curtained area while sitters support the cultivation of energy with songs and positive thoughts from elsewhere in the room. This night the cabinet was empty with the back of my chair faced towards it at a distance of seven feet behind me. I thought about the trumpets that were in my center 25 years earlier. All five of them would levitate in the dark, still visible to us as they were coated in luminous paint. Time and time again they floated and flew quickly up to the 12-foot tall ceiling. I understand that trumpets levitate when spirit builds energy rods to suspend them. The séance had already begun as the medium said an opening prayer and the table began to shudder. The room became very warm then the medium asked the first sitter to pose their question. As they did one by one it seemed that the table answered with a great pounding thump of its leg upon the floor until it came to me. As soon as I had finished asking my question about Two Bear that enormous table rose up tilting in such a manner that the entire top was facing me. The medium yelled, “What’s happening? I’ve never seen it do this!” It then moved pressing tightly against me and slammed back to the floor. Very quickly it began to push me backwards in my chair towards the cabinet. The others were following, screaming and laughing all at the same time as our medium exclaimed, “I don’t know. I’ve never seen it do this.” Here I must confess that I did not tell him beforehand how I had worked with table tilting so many times before. The table pushed me into the cabinet then against the wall. With great pressure it held me tight, fixed to that location. I as well as the others in the group understood the message from this incident. It was telling me that I needed to sit for phenomena development again. At this point I had not sat consistently for the previous year. Not all mediums are physical mediums. Some are mental mediums whose work is done through telepathy. As he held me against the cabinet wall the message from Two Bear was to sit for phenomena, something that I had been long overdue to work with again. At the time I was more focused on traveling and exploring my new lifestyle as a nomad in a little RV. Dallas, Texas, and the surrounding communities were not places in the late 1980s and early 1990s where one would expect to find a medium and I rarely referred to myself by that term. I started my circle gatherings in my home in 1984 with a few sitters who were eager to sit with me in order to learn about spirit. On Wednesday nights our group would gather for these special events. As years passed attendance grew by leaps and bounds but there was always a “core” group who came along with many visitors. The community surrounding my work was growing fast and my circle room was bursting at the seams. Thanks to my student and real estate agent friend I did find a new location. She found a great place close to my house in a little office park. Now there would be room for parking and plenty of seating. I moved into my small but cozy new center. Spirit kept that promise and 40 to 45 people would attend the circles. We removed one wall to accommodate everyone. There was plenty of seating on the floor along with the comfy chairs. Everyone who visited seemed to be comfortable. I had an office and a beautiful entryway. We held classes, circles, energy healing events and private appointments with lots of space to work in. Spirit gave the name “Circles of Lights” and it was perfect for the center. Some of the students volunteered to help at the ever-growing facility and sat providing core energy for the circles. At every opportunity I would also visit communities of Spiritualists in other states. I investigated and sat in at many physical phenomena séances. I wanted to practice for the sake of my clients who were grieving over the loss of their loved ones. A mother and father who drove from North Oklahoma for an appointment helped to make the purpose of my mission clear. As they entered my office they were holding one sneaker with a sock inside. They set it on my desk asking, “Please, can you bring our son to talk with us?” As I watched them cry I knew it was possible that I could produce their only child saying, “Hello,” I could help them and others in grief to experience physical proof of spirit. It could even be possible for them to see him, if only for a split second, to give comfort to the surviving family members. I believed these phenomena would be like the icing on the cake of my mediumship and became very determined to achieve them. I would sit with my trumpets placed in the middle of the circle, all five of them along with Native American drums and rattles. As I gave messages in the dark séance room sitters would comment on the tapping sounds they heard. With their coats of luminous paint the sitters would see these instruments move in the dark and eventually levitate. The night of one circle that mother from Oklahoma was sitting with us as lights began to illuminate the room. This was a miracle for her as well as for all who were there. We knew then that her son had answered her prayers. A medium is a channel. A medium stands between the unseen worlds of spirit and the physical world and becomes that conduit of energy. It’s sort of like a radio. We’re on that frequency of spirit where we attune to the spirit world and bring through evidential information that would identity a spirit loved one, or a spirit of light, or one that comes through, such as a healer from the spirit world. We call them spirit doctors who come into the circles and visit and offer their healing energy to the group. In the classes that I have, the Sixth Sense Development Classes, they come into the class with curiosity first of all and it helps them to understand that there is something beyond the third dimensional level, (life after death, if you want to call it that). And it helps them to reason in their mind that death is a natural process and it’s just a step going beyond the physical into the other unseen dimensions of life. As they learn in the classes, they learn to connect and be that medium, or psychic, or they use it in their everyday life to guide them. They work with their spirit team, they have exercises that help them to identify and to validate what they’re receiving with one another. The classes are real high energy and students are really excited about learning. 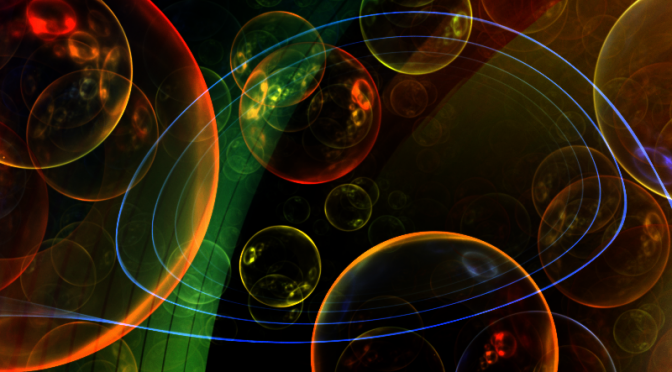 Phenomena circles are considered to be sort of that area that some mediums don’t work with. In the phenomena circles, we’re attempting to create enough energy in the circle to bring about phenomena such as materialization of spirit, light orbs, apportation (which is gifts from spirit). We are using our energies as a conduit. With spirit’s energy mixed with that they’re able to create phenomena on the physical side of life, where it’s very visible, or you can feel it or sense it. Apports have additional meaning beyond the physical qualities of the objects that appear. In the past we’ve had crystals that were apported with the dirt or the clay that they came from still on the crystals. We’ve had two coins that were sent through from spirit. They were Liberty Half Dollars. They were on two people’s birth years. It was very exciting to have a Liberty Half Dollar come into the circle. And we’ve had a couple of quarters. It seems to be that spirit can find coins anywhere because they don’t take the coins from anyone. They don’t hoist them out of any bank or anything like that. There’s a lot of lost coins so they’re able to apport that into the phenomena circles. When you hear of this, it’s usually pennies, quarters, nickels – it’s quite often not silver half dollars, so that was interesting. They’re like “beyond the normal”, so they’re supernormal, they’re out of the ordinary. What we’re seeing is actually at a different vibratory rate. It’s all around us, the lines of energy, the masses of energy are all there and they’re unseen. It’s much like the electricity in the air. If you flip a switch on and you have electricity, the lights come on, or the TV comes on. If you see a thunderstorm and see the lightning, the lightning already exists but the because of the fact that it has a conduit, or something represent that electricity, you’re able to see it or feel it or hear it. Like a clap of thunder, it’s there. That’s the energy, the electricity that exists all around us. It’s just that our senses are not always aligned for that. By working through classes or if you have some natural ability to work with mediumship you open that sixth sense and beyond to interact with those unseen energies. It’s always helpful in your life. This is a way of actually reaching out to the spiritual self in a much deeper way.